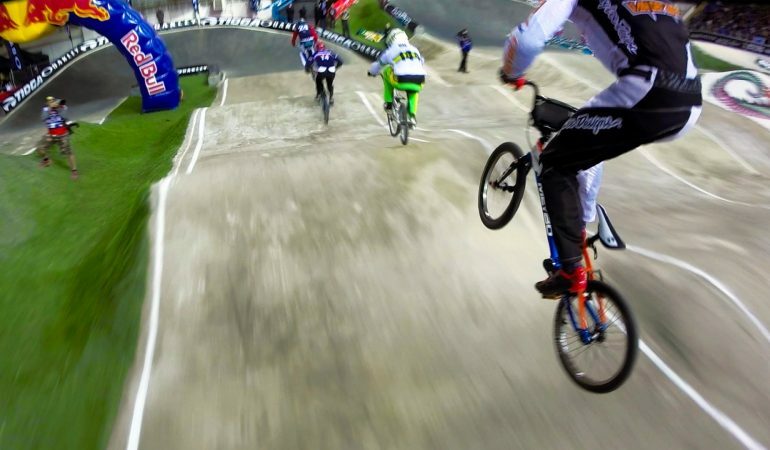 Barry Nobles DOMINATES The Track @ The UCI BMX Supercross! If you think motorcross racing and stunt work is insane then you definitely have to check out BMX. It is absolutely insane what these men and women are able to do without a motor! With the simple pedaling of their feet they are able to reach fast speeds and pull out epic stunts that test their skill and handling of their bike. In this video we join BMX rider Barry Nobles as he goes out onto the UCI BMX Supercross race track and DOMINATES against his peers. We get the pleasure of getting a first hand look at the race thanks to GoPro! Barry starts of strong and finishes even stronger winning the BMX Supercross and proving why he is one of the finest bikers on the scene! To watch Nobles winning run click the video below! Daring Mountain Biker Masters A Downhill Bike Manual! Awesome!